Sastamalan Opisto (Sastamala Community College) is a non-profit Finnish open adult education centre. The college welcomes all learners, young and old and offers opportunities for a wide variety of recreational activities and study. Learning is largely self-motivated and, as a rule, not aimed at achieving a formal qualification. Sastamalan Opisto delivers more than 1.000 courses each year, with about 24.000 teaching hours within the rural town of Sastamala and its surrounding area, hiring about 240 hourly paid teachers each year. The permanent staff consists of five educational and administrative coordinators, two administrative staff and a Principal as well as three part-time regional managers. The college is responsible for designing its own curriculum to ensure that it best reflects the demand in its local area. The courses cover a wide range of areas including life skills, music, the expressive arts, crafts, Information Technology, languages, cooking, sports and well-being. The college also has a small open university education department. Every year the college organizes talks and lectures on a range of cultural topics as well as current social and historical issues. 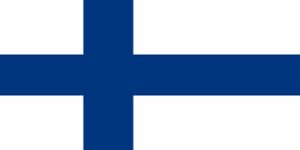 The college also provides Finnish as a foreign language tuition for immigrants. It is possible to study languages also as a private student as well as online using the Internet. In addition, the college runs a Children and Young People’s Basic Arts Education programme with a national curriculum in drama (theatre studies), arts and crafts, art (illustrative arts) and dance. These subjects have a national curriculum. The students who take the art education studies at the college are 7-18 years of age. Sastamalan Opisto is international. The college has participated in a total of nine European Union transnational and multilateral adult education and school education projects since 2004, and is currently a partner in an Erasmus+ KA2 strategic partnership. College owner, the city of Sastamala use the IMS system to integrate and develop the quality and management systems in all city departments. Sastamala College also uses the IMS (Integrated Management System). This is how we are situated by train, by bus, by plane from Helsinki . The nearest airport Tampere-Pirkkala Airport TMP is 55 km from Sastamala.